1. 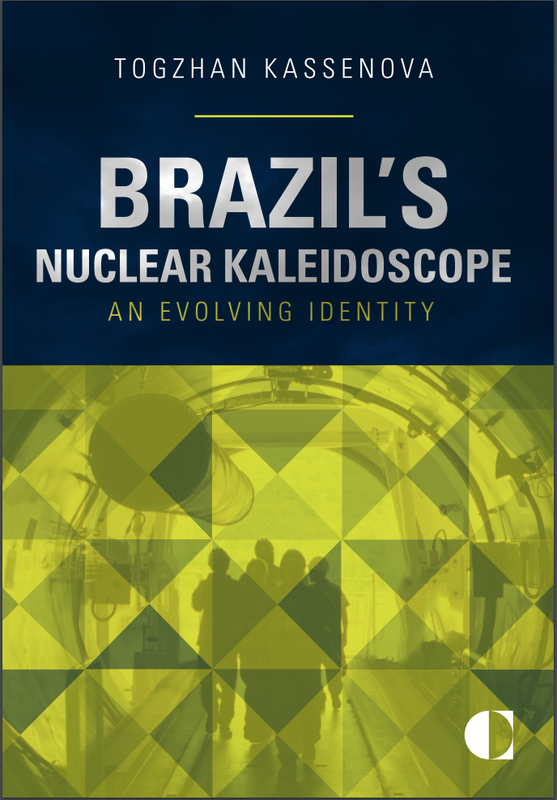 Brazil’s Nuclear Kaleidoscope: An Evolving Identity, Carnegie Endowment for International Peace, 2014. In Portuguese - O Caleidoscópio Nuclear do Brasil: Uma Identidade em Evolução. 2. From Antagonism to Partnership: The Uneasy Path of the U.S.-Russian Cooperative Threat Reduction, ibidem-Verlag (Stuttgart), distributed by Columbia University Press, 2007. 3. Perspectives on the Evolving Nuclear Order, Carnegie Endowment for International Peace, 2016; co-edited with Toby Dalton and Lauryn Williams. “Brazil, Argentina, and the Politics of Global Nonproliferation and Nuclear Safeguards” in Odilon Antonio Marcuzzo do Canto, ed., O Modelo ABACC: Um Marco no Desenvolvimento das Relações Entre Brasil e Argentina (The ABACC Model: A Milestone in the Development of the Relationship Between Brazil and Argentina), Federal University of Santa Maria, Editora UFSM, Brazil, 2016. “Implementing Nonproliferation Programs: The Cooperative Threat Reduction Process in the Former Soviet Union” in Knopf, ed., International Cooperation on WMD Nonproliferation, University of Georgia Press, 2015. “Brazil and the Global Nuclear Order” in Stuenkel and Taylor, eds., Brazil on the Global Stage: Power, Ideas, and the Liberal International Order, Palgrave, 2015. “The Rollback Countries: South Africa and Kazakhstan” in Slaying the Nuclear Dragon: Disarmament Dynamics in the Twenty-First Century, Ogilvie-White and Santoro, eds., University of Georgia Press, 2012; co-authored with Stephen Burgess. “Challenges with Implementing Proliferation Financing Controls: How Export Controls Can Help,” World ECR, May 2018. “Nuclear Safeguards in Brazil and Argentina: 25 Years of ABACC,” American Institute of Physics, AIP Conference Proceedings 1898, 040004, 2017. “External Perceptions of Brazil’s Nuclear Policy: Views from Argentina and the United States,” Nonproliferation Review, Middlebury Institute of International Studies at Monterey, 2017. “Banning Nuclear Testing: Lessons from the Semipalatinsk Nuclear Testing Site,” Nonproliferation Review, Middlebury Institute of International Studies at Monterey, 2016. “Don’t Ignore the Threat of Nuclear Terrorism,” National Interest, March 2016. “Turbulent Times for Brazil’s Nuclear Projects,” Carnegie article, Carnegie Endowment for International Peace, October 2015. “Where Would Marina Silva Take Brazil’s Nuclear Policy?” Carnegie article, Carnegie Endowment for International Peace, October 2014. “Kazakhstan and the Global Nuclear Order,” Central Asian Affairs, Brill, 2014. “Iran Nuclear Talks in Kazakhstan: Remember When Diplomacy Worked,” Carnegie article, Carnegie Endowment for International Peace, 2013. “A Regional Approach to WMD Nonproliferation in the Asia-Pacific,” Carnegie Policy Outlook, Carnegie Endowment for International Peace, 2012. “Global Nonproliferation and the Taiwan Dilemma,” Global Asia, 2012. “Preventing WMD Proliferation: Myths and Realities of Strategic Trade Controls,” Carnegie Policy Outlook, Carnegie Endowment for International Peace, 2012. “Radiological Materials and the Nuclear Security Summit,” Bulletin of the Atomic Scientists, 2011. “Celebrating 20 Years of Nunn-Lugar, With Questions About the Future,” Carnegie Proliferation Analysis, Carnegie Endowment for International Peace, 2011; co-authored with Toby Dalton. “A Black Hole in the Global Nonproliferation Regime: The Case of Taiwan,” NAPSNet, Nautilus Institute for Security and Sustainability, 2011. “Semipalatinsk: From Nuclear Testing Site to Test Ban Treaty Support,” Carnegie Commentary, Carnegie Endowment for International Peace, 2011. “1540 in Practice: Challenges and Opportunities for Southeast Asia,” Stanley Foundation Policy Analysis Brief, 2011. “Global Trends and Developments in Strategic Trade Controls,” Focus, Korean Strategic Trade Institute (KOSTI), Ministry of Knowledge Economy of the Republic of Korea, Volume 3, 2010, pp. 36-44, in Korean; co-authored with Jay Nash. “Uranium Production and Nuclear Energy in Central Asia: Assessment of Security Challenges and Risks,” The China and Eurasia Forum Quarterly, Central Asia-Caucasus & Silk Road Studies Program, Volume 8, 2010, pp. 221-241. “Strategic Trade Controls in Taiwan,” Nonproliferation Review, Monterey Institute of International Studies, 2010, pp. 379-401. “The Lasting Toll of Semipalatinsk Nuclear Testing,” Bulletin of Atomic Scientists, 2009. “Kazakhstan’s Nuclear Renaissance,” St. Antony’s International Relations Review (STAIR), St. Antony’s College at Oxford University, Volume 4, Number 2, 2009, pp. 51-74. “Japan and Kazakhstan: Nuclear Energy Cooperation,” Nuclear Threat Initiative, 2009; co-authored with Masako Toki. “The Struggle for a Nuclear-Weapon-Free Zone in Central Asia,” Bulletin of Atomic Scientists, 2008. “Central Asia Becomes a Nuclear-Weapon-Free Zone,” CNS Feature Story, James Martin Center for Nonproliferation Studies, 2008; co-authored with William Potter and Anya Loukianova. “Central Asia: Regional and WMD Proliferation Threats,” Central Asia Affairs, Kazakhstan Institute for Strategic Studies, Number 1, 2008, pp. 5-11 (re-printed). “Cooperative Threat Reduction and Pakistan,” Nuclear Threat Initiative, 2008; co-authored with Sharad Joshi. “Biological Threat Reduction in Central Asia,” Bulletin of the Atomic Scientists, 2008. “Kazakhstan’s Nuclear Ambitions,” Bulletin of the Atomic Scientists, 2008. “Central Asia: Regional Security and WMD Proliferation Threats,” Disarmament Forum, United Nations, Number 4, 2007, pp. 13-23. “WMD Threats in Central Asia,” Nonproliferation Review, Monterey Institute of International Studies, 2004, pp. 170-192.